WB announced a new slate of films based on DC Comics, and it is a weird mix of films that hint at DC’s future: less focus on a shared universe and retooling franchises they already have. Currently riding the massive global success of Aquaman (which just surpassed Dark Knight Rises as the highest grossing worldwide film based on a DC Comic), and the hype for Shazam it appears the studio is moving forward on some new films. 2020 is already set with Birds of Prey (which just started filming) and Wonder Woman 1984, but over the horizon in 2021 they have marked the calendar for three films: DC Super Pets, The Batman, and The Suicide Squad. Easily the strangest announcement to come out of WB’s slate was that one of their films would be titled DC Super Pets, set for a May 21, 2021 release. Little is known about the film but based on the title it is safe to assume the film will somehow involve the famous pets of the DC Universe. Krypto the Superdog and Ace the Bat-Hound are the two the spring to mind right away, but there could also be room for Topo the Octopus (who was seen in Aquaman beating the drums in the fight between Orm and Arthur), one of Wonder Woman’s kangaroos (in the original comics the Amazons rode Kangaroos…no really), or the Wonder Twins Pet Monkey Gleek. The announcement shows that one lesson WB and DC may have taken from Aquaman is to embrace the weird aspects of their universe. They have such a wealth of crazy material to draw from the 70 plus years of DC comics, why not make something unique with the strange collection of characters they have. Something Marvel might not be able to do. Seems the film will not be a live action film, but instead an animated film similar to Teen Titans Go To the Movies, and with how well other animated superhero films like Spider-Man: Into the Spider-Verse, The Incredibles and Big Hero 6 have done, this seems like a good call for the studio. The Batman will land in theaters on June 25, 2021. Matt Reeves came aboard the project back in 2017 and it appears the film is finally starting to take shape. The film has been described as a noir detective story which will feature many members of Batman’s rogue’s gallery. The big news to come out of the story is that Ben Affleck will not reprise his role as the dark knight. After months of speculations, it appears that a new actor will take on the role of Batman for the film. Affleck’s association with the caped crusader was a long-troubled journey. He signed on back in August 2013 to play Batman in Batman V Superman. Then it was announced he would direct the upcoming Batman film. But after the release of Batman V Superman, it appeared Affleck was no longer happy in the role. He stepped down from directing the solo adventure and appeared to stay onboard to promote Justice League. It appeared he wanted out and the studio wanted to take the character in a new direction. Ben Affleck was a good actor never quite given the right material. Batfleck: August 22, 2013, to January 30, 2019. The June release date is a return to form for the caped crusader as Batman, Batman Returns, Batman Forever, Batman and Robin, and Batman Begins all opened in the month of June. The Dark Knight moved to July, and after the monster success of that film, The Dark Knight Rises was given the same July weekend release four years later. Now Batman is back in June, just in time for the 4th of July holiday weekend. DC’s attempt at rebranding is just to put “THE” in front of their films. Suicide Squad 2, now is titled The Suicide Squad, in an attempt to signal it not as a sequel but a new reimagining of the team within the same larger universe (the concept of the Suicide Squad and its rotating roster makes it easy to change things up easily). Harley Quinn has already been moved over to Birds of Prey, and no word on if Will Smith will reprise his role as Deadshot, so expect a brand new team of characters. James Gunn, the writer/director of Marvel’s Guardians of the Galaxy 1 & 2, was hired on to write the script after he was fired from Disney over some old tweets. Now it appears that WB pretty much has Gunn locked down as director of the project. This puts a final nail in the coffin for fans hoping Disney/Marvel would see the error of their ways and rehire him back for Guardians of the Galaxy Vol 3. 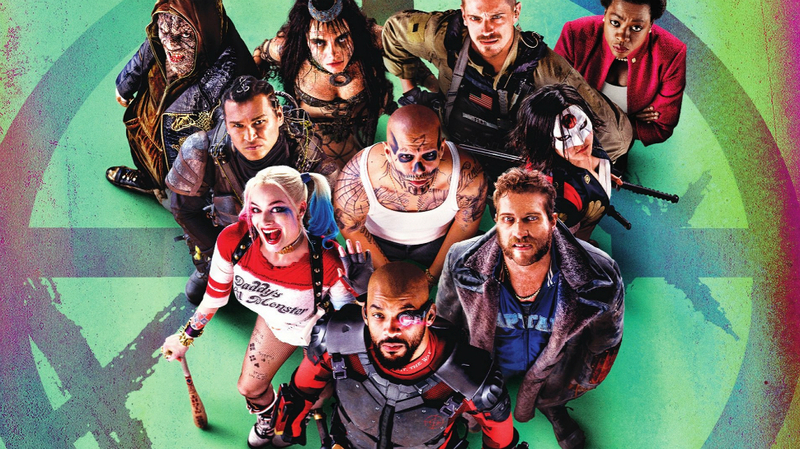 Suicide Squad was greenlit by WB as an answer to Marvel and Disney’s Guardians of the Galaxy. A team of C-list characters who start out as criminals who become unlikely heroes set to a rock n’ roll soundtrack. Now the man who inspired the imitation will direct the imitation rebranding. The Suicide Squad will arrive in theaters on August 6, 2021. The same weekend that Suicide Squad opened to in 2016, and the same weekend that Guardians of the Galaxy opened to in 2014. What is missing from this announcement, surprisingly is word on The Flash and Aquaman 2. While one would expect Aquaman 2 to be on this list, given the massive success of the first film, they did just start development on the sequel. Makes sense the studio doesn’t want to rush the film out; director James Wan said he is waiting for the right script to come along. Aquaman 2 most likely won’t be ready for release until 2022 at the earliest. Despite being the fastest man alive, The Flash seems to be the one DC property that has trouble getting fast-tracked. The film has been through multiple directors, several potential versions (ranging from a team-up movie with Cyborg and then a Flashpoint film) and missed several potential release dates. They hired Jon Francis Daley and Jonathan Goldstein fresh off of Game Night to helm the project back in February last year. Originally it was reported the film couldn’t start production because star Ezra Miller is also attached to WB’s Fantastic Beasts franchise which would be filming in the summer of 2019. Yet with the news of Fantastic Beasts 3 filming pushed back three months, this means The Flash also gets bumped back. Filming on The Flash can now no longer happen anytime before 2020, which means it will most likely arrive on screens in 2022. This line-up of films shows that WB and DC have become less concerned with making a series of interconnected films, building to a series of team-ups, and instead focused on developing a series of strong interesting stand-alone films and worrying about how they will all connect later on. Truly creating the vastly different Worlds of DC that audiences will want to enjoy for years. What do you think? Are you excited for these films? Who do you want to see as the new Batman? What character should be a part of the Suicide Squad? Would you rather Super Pets be live action? What films missing from this announcement do you want to see? Let us know in the comments below.